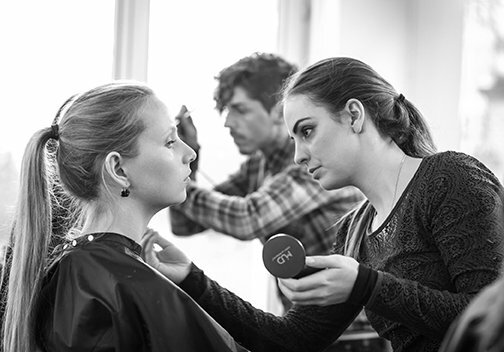 With a focus on the lucrative world of weddings, the Bridal Make-up Artistry Course takes the student from consultation to the creation of a bride’s perfect look. 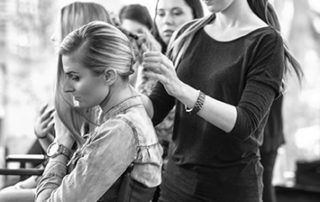 The Bridal Course starts with the idea that a successful wedding make-up application starts with a clear plan for the bride and her family. 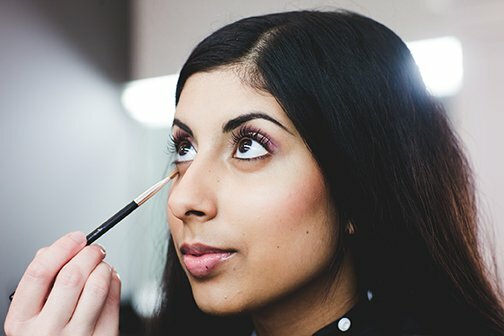 From there, students learn both business and additional make-up techniques required to be successful in the bridal business. This course consists of 6 sessions for a total of 21 clock hours. 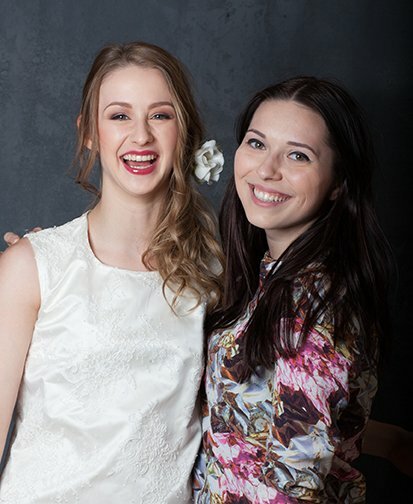 Bridal make-up is not only a great sector to work in, it also gives you a high rate of job security! 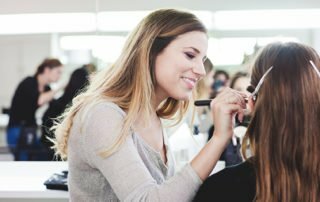 Your goal in this bridal make-up training? Learning to read the expectations of the bride. Discover different cultures and how to adapt the make-up according to the brides culture. Learn how environment, theme and the venue of the wedding affects the make-up. And most importantly – how to make very bride a happy bride! 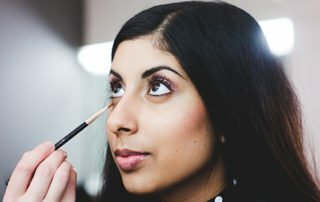 This bridal make-up training distinguishes itself from other courses, when you learn how to have a very precise consultation with your client. 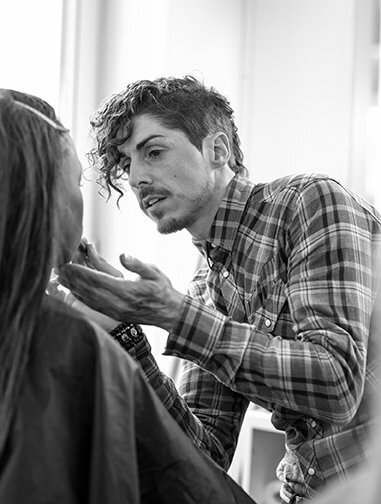 In this demanding industry listening to your customer is one of the most important factors. 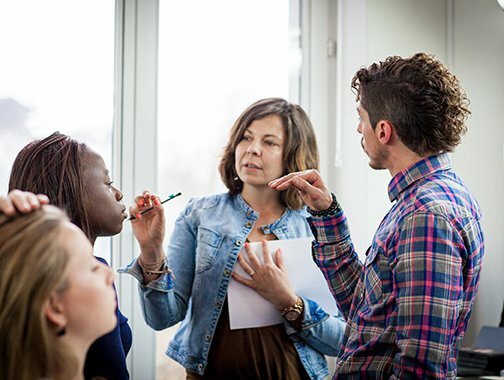 You learn to ask the right questions in order to find out what the needs of your customer are. 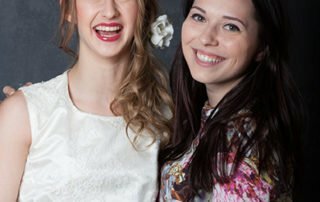 How much should you charge for a bridal make-up? How do you advertise? 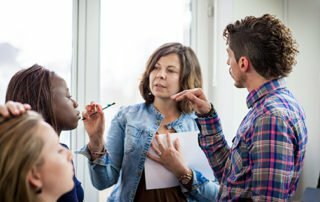 How do you get inspired? 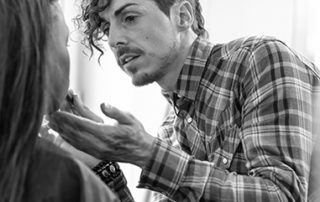 It’s all in the details, because that will distinguish you from your fellow make-up artists. We go over the most important aspects that you need to consider if you want to have a bridal make-up business. 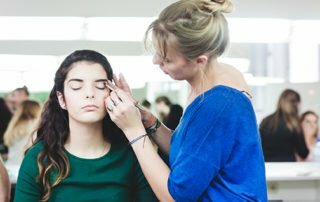 After this training you can get started immediately – there is no lag time for jobs in bridal make-up! ‘Bridal Make-up’ course is for every make-up artist who needs more practical experience in conducting bridal day make-ups. 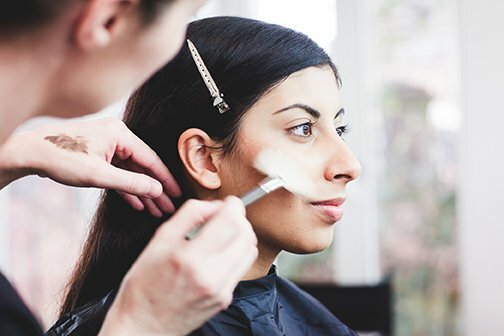 For a beginner make-up artists this is an excellent opportunity to get informed about how to start up your first business. For make-up artists with more experience, this course gives you new techniques, insights, and a lot of helpful tips to further develop your business. 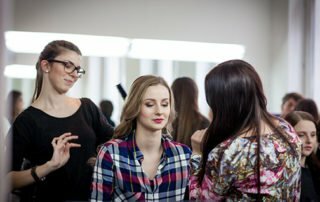 Are you a professional or do you enjoy other basic make-up training? We invite you gladly for an intake interview and practical test at the school. Please contact us for more information.